I have always been thrilled by asking myself questions about the music I studied. So too by reading books, listening to recordings, and discovering other works that might help bring me a more personal idea of what I have been playing. I did this in my conservatory years, and even more so when I quickly became the person giving the classes. Responsibility towards my students was the springboard for applying greater rigour to those investigations, and then in 1994 the idea of a book took shape, one that would be the axis of all those reflections: to understand what relation existed between the playing styles of those great composers and their own aesthetic universes. Between 1994 and 2001, I put in an extraordinary amount of time into researching and writing, yet without knowing that the result of all that would open so many doors and change my life forever. 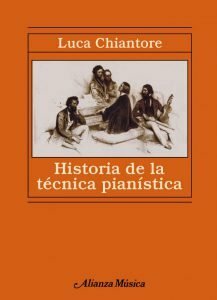 The Historia de la técnica pianística that was first published, in Spanish, in 2001 is still listed reading today in universities and higher education centres in (to my knowledge) twelve countries. This 753-page volume has been continually reprinted since its launch, and for many people in Spanish-speaking countries I am, first of all, the author of that “big orange book”. With this under my arm, I have travelled all over the Ibero-American world, and I hope to be doing so until the very end of my life, each time discovering a little more about the always-wonderful people of each place and the incredible diversity of their cultures. But much time has passed since then, and over these years I have worked hard, alongside the invaluable Peter Russell Wix, in preparing a new version of this book, this time in English. It is a profoundly revised and updated version that not only takes in written works of the last few decades but also reflects on the changes I myself have lived through in regard to the subjects the book covers. This new edition will herald the second half of my life’s journey, one that will undoubtedly be intense and passionate.